It’s a delicate balance, creating a safe haven for Mom without losing personal space in your new house plan. 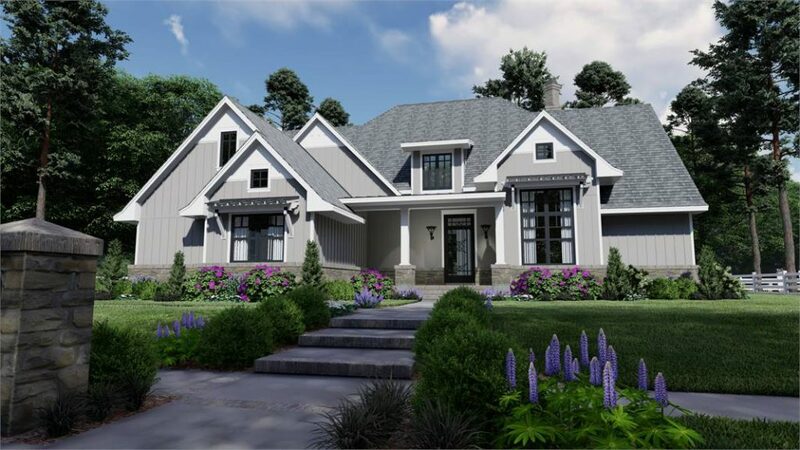 But here at The House Designers, we’ve put together an incredible gallery of in-law suite plans that both you and Mom will love! Using our innovative floor plans, you’ll find privacy for yourself and your new live-in guest(s), while creating a life that you can enjoy together. In a hurry to see all of our incredible options for your mother? 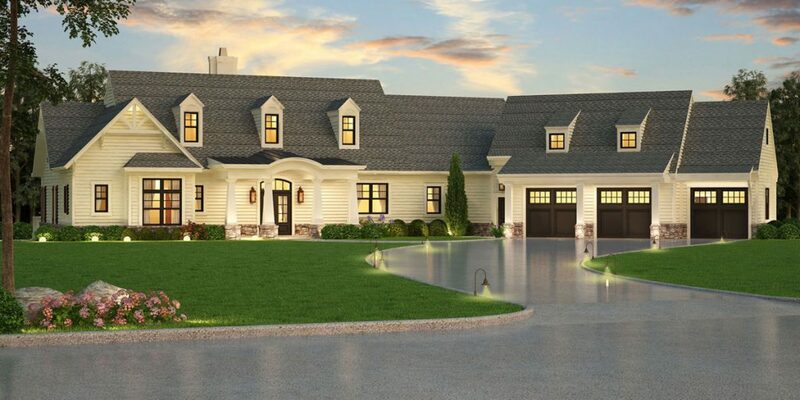 Check out our complete collection of In-Law Suite Home Plans from The House Designers! 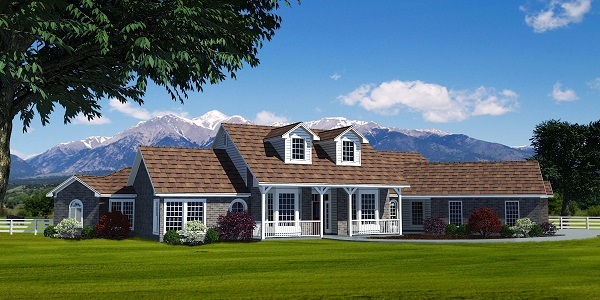 The right wing of House Plan 4427 provides an ideal space for live-in or visiting guests. Notice the private terrace and complete en-suite. This creates the at-home feeling your loved one craves when living in a new space. They can remain independent with a useful kitchenette here as well, which is tucked away to maximize square footage. With all that this space has to offer, your guest(s) receive the privacy they need, while giving you the comfort of having them nearby. Mom may need more than just a place to lay her head. Give your in-home guest(s) the freedom to entertain or lounge, with much-deserved privacy, in their very own living space! 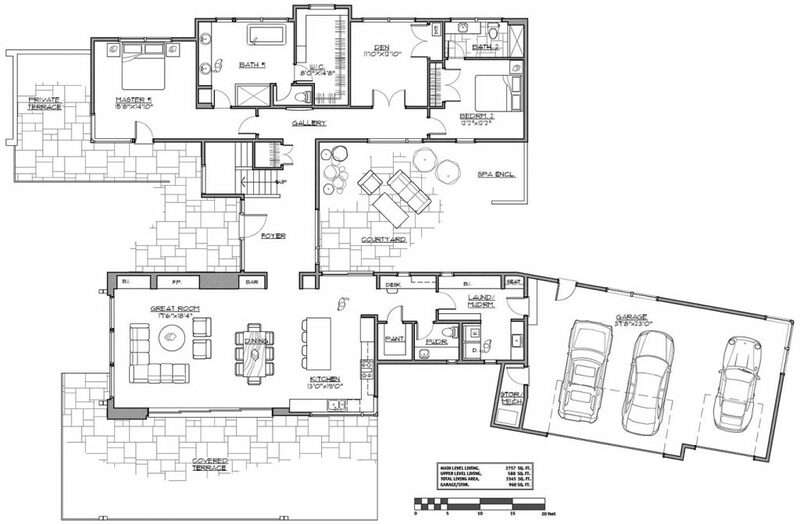 House Plan 3072 does this wonderfully, with a spacious den just outside your new live-in guest’s suite. Grandma can host a small birthday celebration here, or Mom will have the pleasure of hosting book club at her place. Then, when guests have gone home, their living room provides plenty of space for a reading nook or media space. All of this is possible, with the convenience of having them under your roof. You’ll love the look on your new roommate’s face when they see this incredible in-law suite! House Plan 1443 has designed this similarly to apartment living, so your loved one will have everything they need to live independently, while remaining safely nearby. 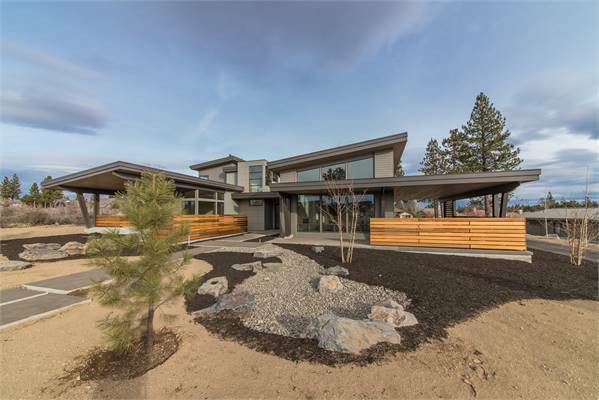 They can enter an open-concept living room and kitchen from the private porch or main home. Let your loved one entertain in style with this full kitchen and private outdoor living. A double-sided fireplace accents both the living area and spacious bedroom, complete with en-suite and walk-in closet. You need to think about accessibility when bringing home an elderly live-in guest. 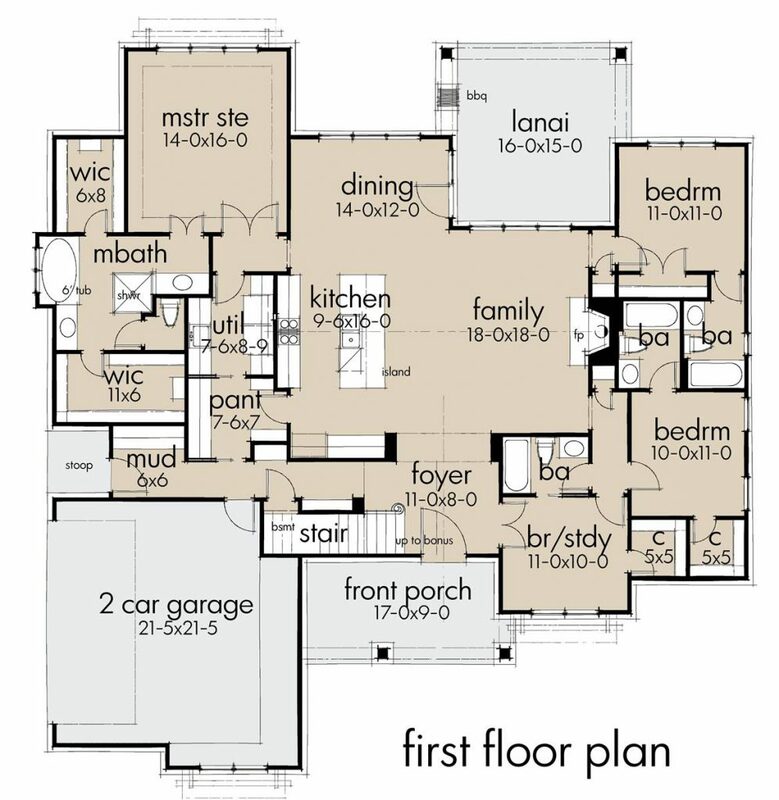 House Plan 7218 is a perfect example of how an open-concept layout can make your new live-in guest(s) feel right at home! We know that open-concept house plans are great for entertaining, but did you know they’re ideal for those who use wheelchairs or walkers as well? Loved ones move freely through homes with wide door frames, smartly arranged restrooms, and wide hallways. Your loved one(s) will need their space, but it’s easy to invite them to be a true part of the family with large family living spaces. 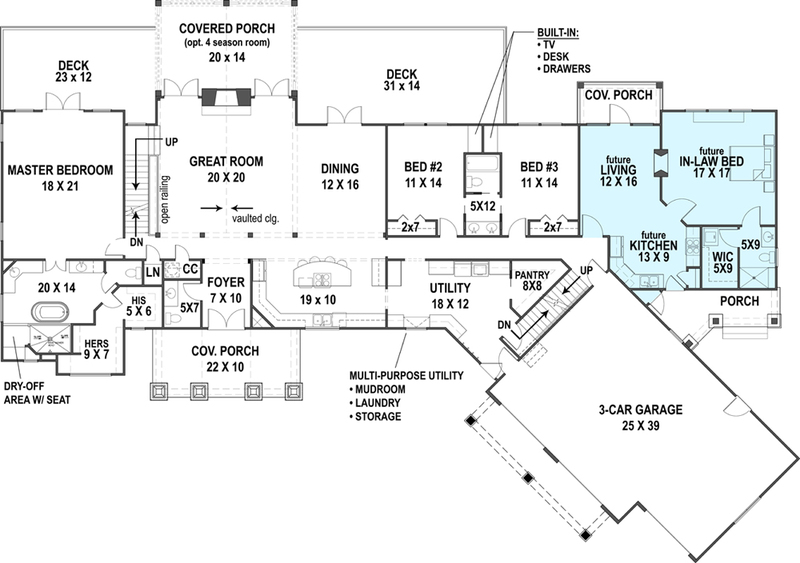 If an accessible plan is what you need, enjoy our full collection of Accessible Home Plans. Our modification team can also make ANY of our house plans meet universal design guidelines. Found the perfect plan, but need a couple changes? Please don’t hesitate to email, live chat, or call us at 866-214-2242.